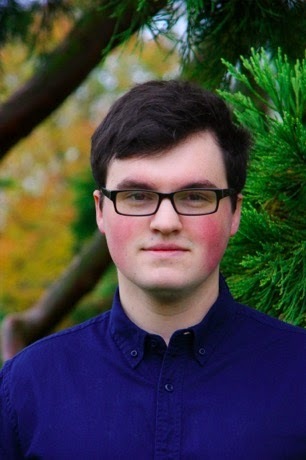 Young composer Marco Galvani wins a £500 prize and a world premiere during the Holy Week services at St Mary Moorfields Catholic Church in the City of London. Marco, 20, from Prenton on the Wirral, is a second-year Music student at The Queen’s College, Oxford. His piece Ecce Quam Bonum, a short setting of the first verses of Psalm 133, will be performed on Holy Saturday. Marco said: ‘Winning this prize means an awful lot to me. I put a lot into the piece, I pushed myself more than I had before and tried out more complex ideas. ‘I was delighted to work with four leading practicing musicians in order to recommend a winner. Judging was a tough call because many of the entries displayed a high degree of compositional merit and sensitivity. Marco’s piece was outstanding, and further it is performable by a small group making it adaptable in the real world. In addition, the Trustees have given an honourable mention to the following: Robert Busiakiewitz for Kyrie, Barnaby Martin for Gloria, Thomas Neal for Pange lingua.